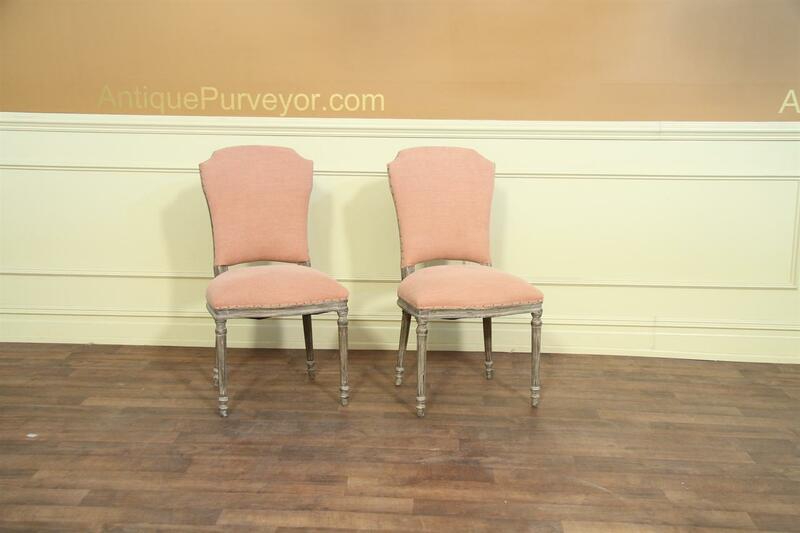 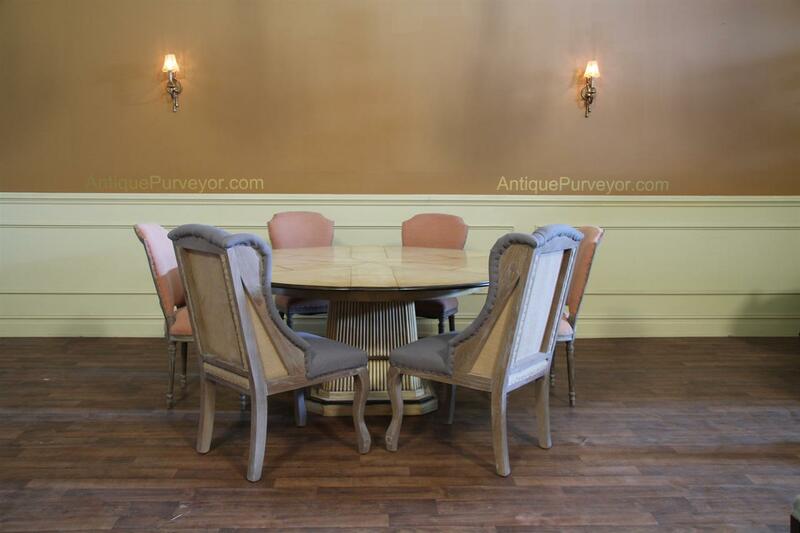 Description: Upholstered dining room chairs with a pastel peach fabric in a casual or rustic styling. 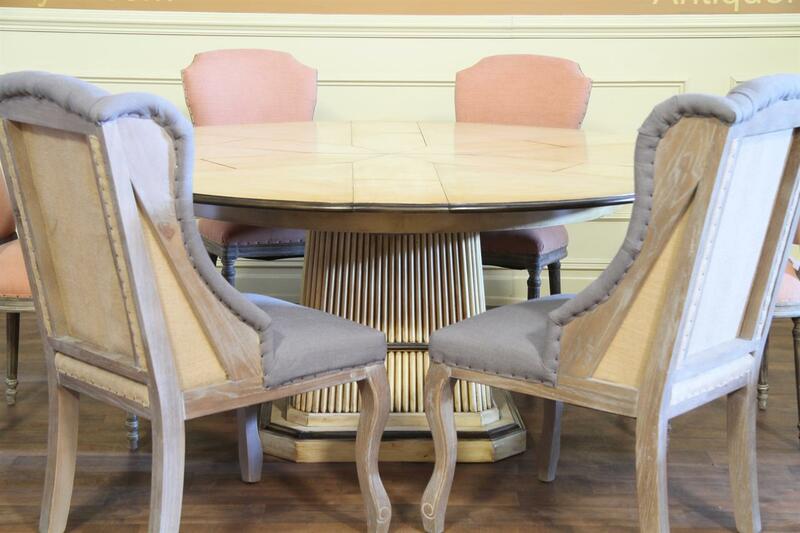 The chair has nail tack accents and solid wood frames that are made to look slightly aged. 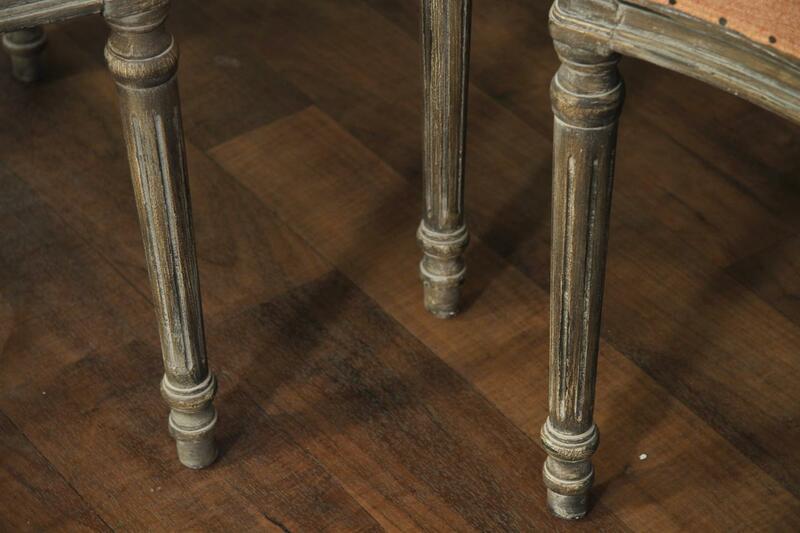 The legs taper down helping to keep the chair light in appearance. 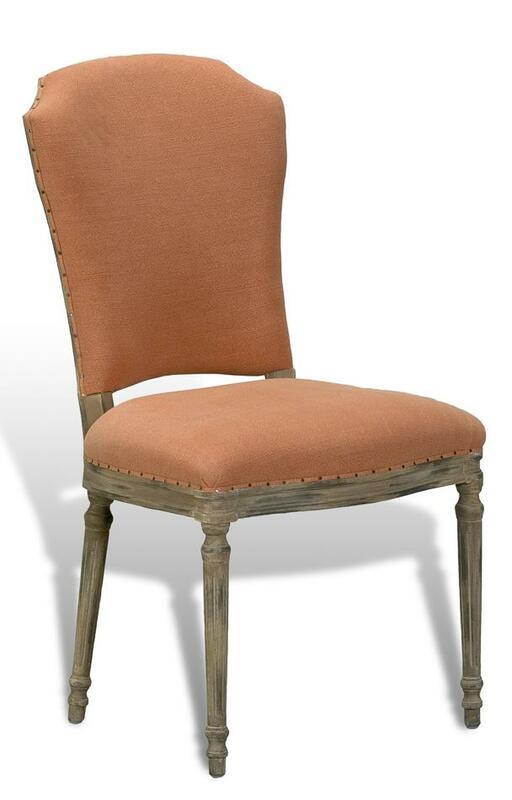 This chair may even work well in a more shabby chic room. 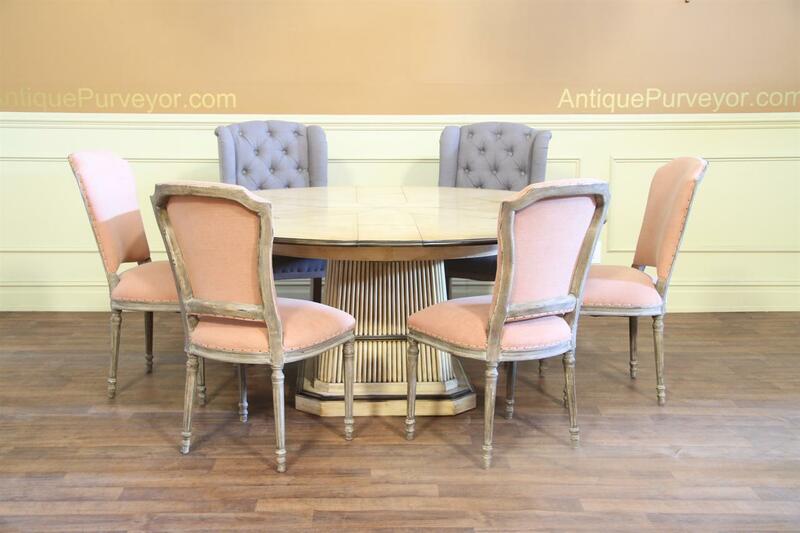 Works very well next to most of our round tables with hidden leaves.